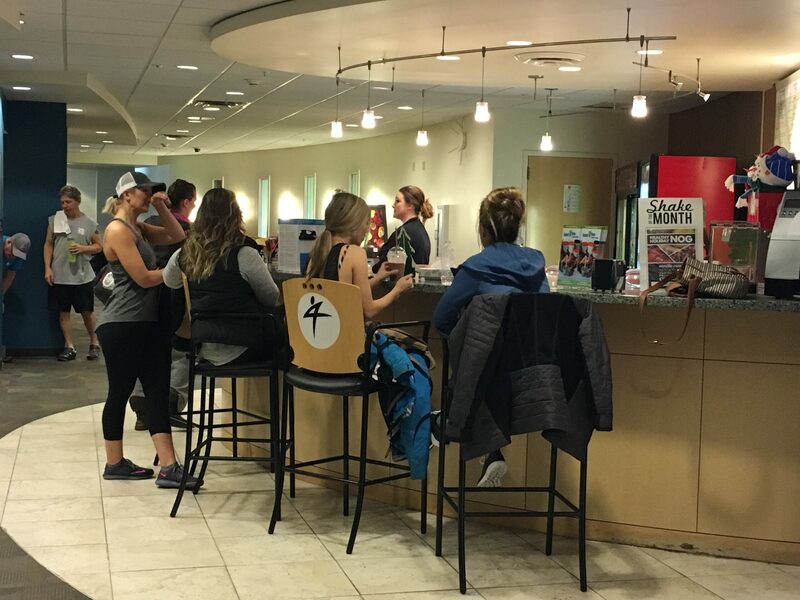 The Juice Bar is available for members to replenish, refuel or re-hydrate. Whether you need a pick-me-up prior to your workout, a protein shake post workout or a boost of energy on your way out – we have something for your taste. Come build your own shake or smoothie with our fresh or frozen fruit, Magnum protein, and healthy add-in options! Magnum Nutraceuticals is the world’s most advanced pharmaceutical grade protein formula. Magnum protein is kosher, lactose free, gluten free, and nut free. The Juice Bar at FSI is closed. However items are available for purchase at the Front Desk. Please visit the Front Desk to purchase cooler items when the Juice Bar is closed. Many of our members don’t bring a wallet into the gym, so we have a “Card on File” feature where you can put your credit card onto your membership and all you need is a membership card to purchase anything from the Juice Bar or Sport Shop. Ask the Front Desk about adding your card today! We also know that schedules get busy and life can get hectic. So maybe you forgot your swim goggles? Ran out the door without your workout shirt? We’ve got you covered. The Four Seasons Sports Shop exists to supply your needs from yoga to swim and every stop in between. If you have questions or would like more information about the Juice Bar, contact our Juice Bar Coordinator Emily Vignali at 309-663-2022 ext. 150 or email her at Emily@4seasons-club.com.